This fungus impacts the leaves of the tree and forms black spots on the topside. Black fruiting pods may appear on these leaves, which then cause leaf fall. Read on to learn what this disease is and how to protect your maple trees against it. Gather and burn all the leaves to eliminate any chance of having the fungus survive. You can also put them in the compost. 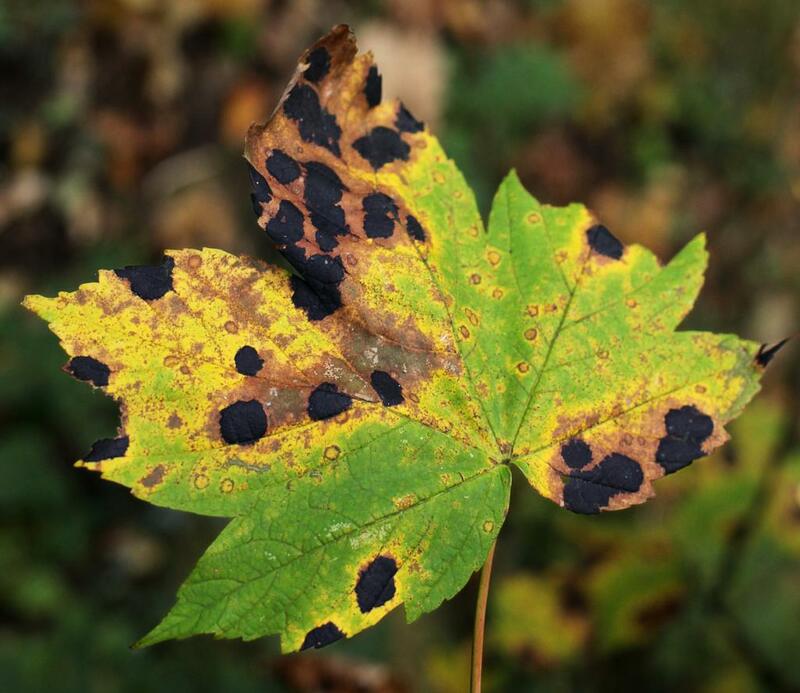 What causes maple leaf black spot? A fungus called Rhytisma acerinum is responsible for this. It’s commonly called “tar spot” or “black tar spot” because it’s black as pitch. The fungus doesn’t infect the inside of the tree, and it doesn’t have any severe parasitic action. 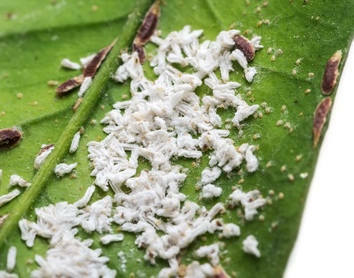 The worst impact of this fungus is that it shuts down normal activity on leaves at the spot itself – that reduces the leave’s ability to photosynthesize and convert sap and sun to nutrients and energy for the tree. The visual effect makes the tree look much sicker than it actually is. in spring, microscopic spores are released which are airborne. 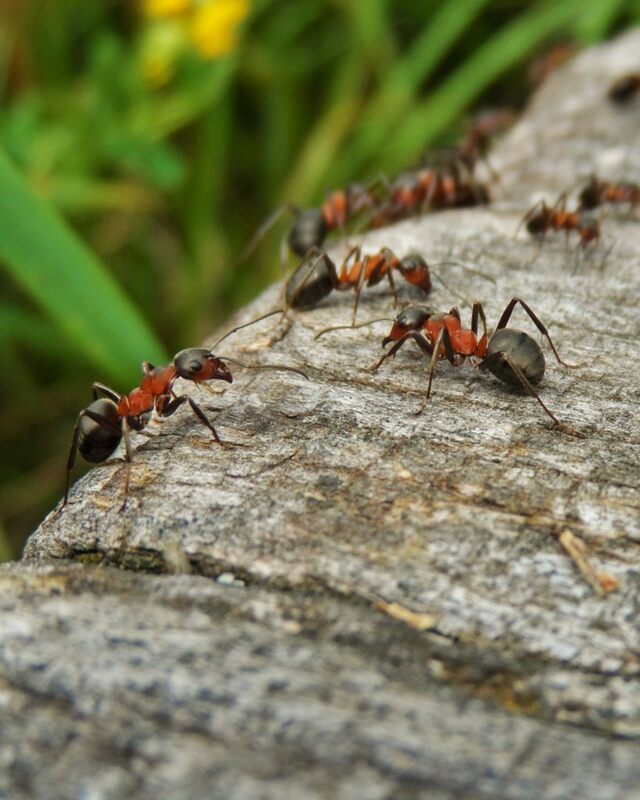 The wind carries them over a distance and some of them land on maple tree leaves. the sticky spores open up and start colonizing the leaf, and the imbalance resulting from this causes the maple leaves to form yellow spots. the fungus keeps growing when leaves fall off for as long as the weather stays moist – which, for fallen leaves, is all winter long. Over the winter, the fungus forms capsules which contain many new spores that will burst open when temperatures rise again after winter, starting the cycle all over again. Removing the leaves before winter ensures that most of the hibernating spores are destroyed. Composting leaves infected with maple black spot also works because the spores will be buried and will die off or be broken down before being exposed to air again. It isn’t necessary to treat the tree with chemicals. Let’s avoid contaminating our planet. So if I understand you correctly, gathering all leaves that fall from the tree & destroying them away from the tree itself will prevent future tar spots on the tree? Thus you are saying that the fungus actually reproduces in the fallen leaves that stay at the base or around the tree over winter like a breeding ground that eventually gets to its root system. Or does the fungus crawl or grow & spread up its trunk? Dear Elaine, those are great questions and it’s a good opportunity to look into how these fungus spread. The particular types of black spot fungus that make tar-like spots on leaves expel air-borne spores when temperatures rise in spring. Since they overwinter on the fallen leaves that they’ve contaminated, that’s why burning them is so effective. Theoretically, tiny amounts of spores grow and develop on bark, but that usually isn’t enough to trigger a large-scale infection. This type of fungus doesn’t grow a root system in the ground or soil. 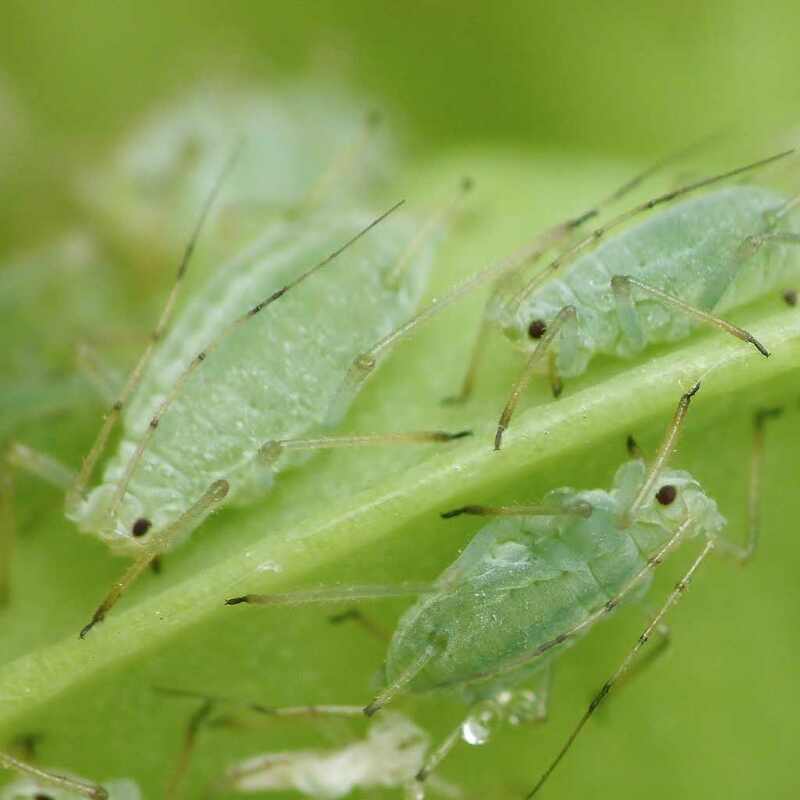 Aphids, how to get rid of them?